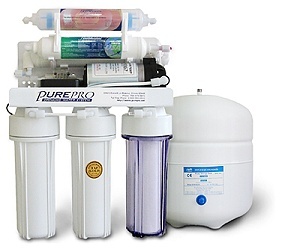 Since we introduced the EC Series to our customers, the respond has been incredibly success. Customers love it. 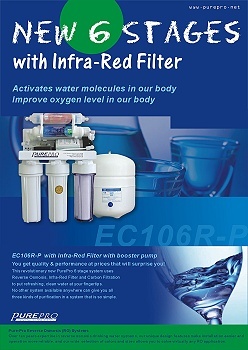 EC106 provides safe, pure water using Reverse Osmosis Technology. You get quality and performance at prices that will surprise you! EC106R-P comes complete with a NSF certified 3.2 gallons water storage tank, USA made membrane and all the necessary fittings, installation kits, extra color 1/4" tubing, and a long-reach chrome faucet. We don't know of any other system at our price that can approaches its performance.